Ross Limo has been the most consistent and reliable LAX car service provider for the last two decades. Our fleet of town car sedans, SUVs, and 16-passenger Mercedes Benz executive vans are available to accommodate your every transportation need for your trip to and from LAX. As the busiest airport in one of the largest cities in the world, the Los Angeles International Airport is the epicenter of travel in LA. Given the busy nature of this airport, getting here can be a major hassle. Thousands of people fly in and out of LA’s largest airport on a daily basis and many choose us for our reliable LAX limo service. We will work with you to accommodate your requirements and make sure your trip goes smoothly. The $75 flat rate is only available for LAX town car service to and from Los Angeles International Airport with no additional stops to the cities listed above. This is a great deal for travelers looking for private car service to LAX. We also offer a $95 flat fee LAX SUV service for Los Angeles Internation Airport transfers with no additional stops to/from the neighborhoods listed above. You can pick from either an upgraded Chevy Suburban or a luxurious Cadillac Escalade for this special. LAX Sprinter van service is one of the most commonly-requested services by our clients traveling to Los Angeles in large groups for family vacations or business trips. Our fleet of executive Mercedes Benz Sprinter vans can accommodate large traveling parties traveling to & from LAX. The LAX van service is perfect for groups of 5 to 15 passengers which are too large to fit into a single sedan or SUV. Instead of splitting up your traveling group into several vehicles, you can be picked up and transferred in luxury and comfort in the same vehicle, eliminating any possibility for separation (not uncommon in Los Angeles traffic). You don’t have to deal with the notorious L.A. traffic. You can get additional work done or catch up on leisure reading instead. You avoid missing your flight. Our dispatchers will recommend an earlier pickup time if you are unaware of potential peak hour traffic issues. You don’t have to share your ride with a dozen other strangers like you would in a typical van ride to LAX. You avoid exorbitant parking fees. You don’t have to pay for leaving your car at one of the parking lots near LAX. You do not worry about your car. Most parking lots near LAX do not provide any insurance if anything happens to your vehicle there. You get to travel in a luxurious private vehicle that is cleaned daily and has a comfortable ride. Your driver is a professional chauffeur who knows the city better than any rideshare service driver and offers an upscale service. Limousine service to LAX is surprisingly affordable when you consider all the value you get out of it. The reasons above make limo transportation to LAX one of the most commonly requested services. 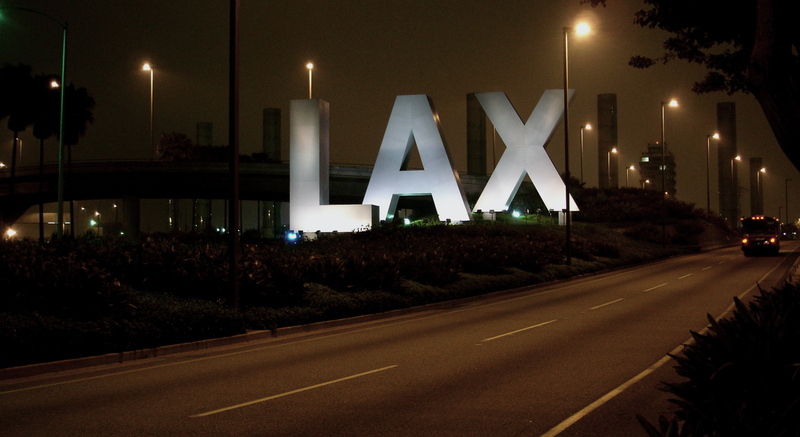 We deliver hundreds of clients on a weekly basis in a safe and timely manner to and from LAX. We will pick you up on time, help you with your baggage, and allow you to comfortably enjoy the ride one of our luxurious vehicles. Click any of the choices below to get helpful information for your trip to and from LAX.